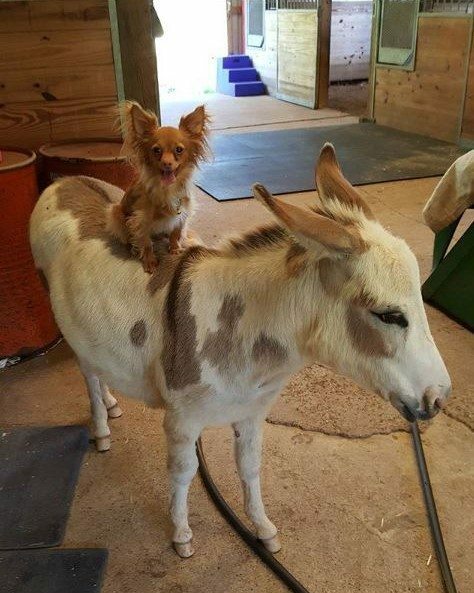 When you see the bond between this miniature donkey and little Chihuahua, you are going to fall in love. Both were rescued and brought to an animal sanctuary in Texas called Paire A Dice Ranch where they became best buds right away. Lily and Yoda love playing outside together! This unusual friendship is a lesson in itself. We don’t need to look the same, or come from the same background to make a great team! Give Lily and Yoda a Follow on Instagram at Lily and Yoda’s Funny Farm!